The eating environment - what surrounds your child when they are sitting down to a meal or snack - is really important. This has an emotional element: is the space calm, conflict-free and relaxed? And it has visual and physical aspects, too. What does your child see when they are eating? What do they hear and smell? In this article, I’m going to talk about an often ignored aspect of the eating environment; what your child is actually eating off. The humble plate. Because even details as inconsequential as plate design, cutlery choice and the table covering can all affect how children react and relate to the food in front of them. There is so much here that is unhelpful! I have written elsewhere about why rewarding children for eating is problematic (especially when the reward is edible). I have also written about why I don’t feel young children should feel responsible for the nutritional content of their diet. I feel strongly that children shouldn’t be cajoled into eating through fun presentation, games and distraction. Instead, we need to help them learn to eat because they have tuned into their internal signals and they are listening to their bodies. All this aside though, these plates had something else in common - they were all super colourful, bright and busy. Research shows that many children who are anxious eaters struggle with the sensory aspects of eating. They can find it really hard to handle how food feels, tastes, looks and smells. These things can simply be overwhelming. In order avoid the anxiety provoked by difficult sensory experiences, children who find it hard to integrate certain kinds of sense data may stick to a very limited number of safe foods. What bright and busy plates do, is give children even more sense data to process. For me, less is more. I recommend small, plain, white plates which provide the very minimum of sensory stimulation. A smaller plate gives a sense of control (especially in the context of family style serving - an approach which I find very powerful) because children don’t feel they have to have huge amounts of foods they are not confident with. There is nothing more intimidating for a food-anxious child, than being presented with a large plate piled high with disliked or unfamiliar food. So, small is good, plain is good... but what about compartments? Lots of picky eaters find it much easier to eat foods which are not mixed or even touching. I support children’s right to manage their food in a way that they are comfortable with and would be very happy for a child to make sure their foods were not physically touching if that’s what they needed to do, but I think this is achievable - in the main - with a standard plate. There is something very positive about children having a smaller version of what the adults are using. What adults model (ie. teach children through their own actions) is such an important aspect of the development of eating habits. By giving children a different plate (just like giving them their own, different meal) we are sending the message “you can’t eat like me”. By letting children help themselves to the same foods on the same kind of plate, we are saying “You can learn to eat like me”. Equally, with a standard plate, children can gradually become more comfortable with foods touching, whereas foods simply can’t be in contact at all on a plate with moulded sections. I have met some children whose anxiety about foods touching is so extreme that they would need to begin with a compartmentalised plate; if this is the case for your child, pick one which is as plain as possible. The chances are you are reading this and feeling unsure about the colourful children’s plates in your cupboard which you purchased with your child’s best interests in mind. It is totally culturally normal to go for kid-themed crockery like this - it is even an expectation. No one should feel bad for fitting in with social conventions. 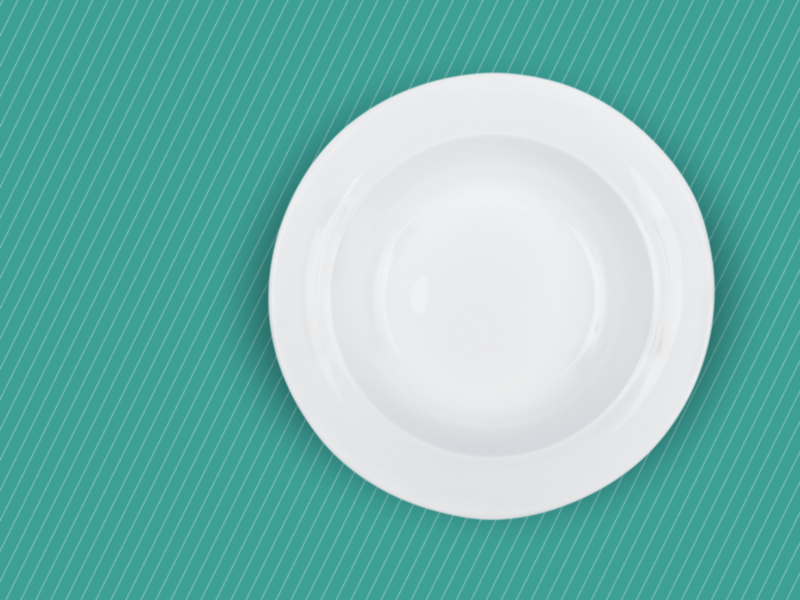 If your child is a very picky eater though, especially if you feel this may be connected to sensory processing, experiment with a small, plain, white plate and see if it helps your child cope with their food. For younger children, go for higher sides and non-breakable materials. For older kids (unless they have additional needs which make breakable crockery risky) try a small, flat, china plate. Get in touch and let me know how you get on!